SIMPLE WAN PRESS RELEASE: Advantage Communications Group , a company that architects, implements, and manages innovative solutions at the most competitive rates, has added SimpleWAN — the industry’s provider of all-in-one SD-WAN, managed Wi-Fi, and security technologies — to its provider portfolio. Advantage Communications Group is dedicated to providing real-world business benefits to its members, providers, and clients by leveraging the power of its collective strengths. These include the ability to carry out combined contract negotiations, efficient supplier and customer relationship management, and an unparalleled body of industry knowledge. 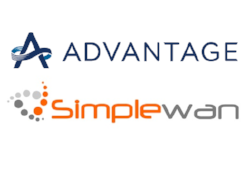 “In our eyes, partnering with Advantage Communications Group opens up the SimpleWAN platform to some of the most well-known and distinguished agents in the industry,” said Erik Knight, CEO of SimpleWAN. “We’re seeing unprecedented interest in wide area networking solutions from both our clients and partners,” stated David Gardner, President and CEO of Advantage Communications Group. “Adding SimpleWAN and their SD-WAN 2.0 offering to the Advantage portfolio provides an innovative, comprehensive all-in-one solution backed by impressive systems and support,” said Advantage VP of Marketing, Gene Rogers. SimpleWAN offers the next generation of SD-WAN to streamline businesses’ network management needs with a product that encompasses over 20 technologies. “We’re thrilled to become a part of the Advantage Communications Group ecosystem and to work with the esteemed partners the group has in its portfolio,” Knight said. “SimpleWAN is a very important player in the SD-WAN space, and as Advantage Communications Group continues to expand its offerings, SimpleWAN will play a critical role,” said Rogers. SimpleWAN won “Best in Class” at The Alliance Partners’ Tech+Connect sales empowerment event in November 2017. Launched in 2013, SimpleWAN is quickly becoming an industry leader in cloud-based networking and automated solutions. With state-of-the-art features like SD-WAN, SD-Voice, cloud managed WiFi, and automated security and protection systems, SimpleWAN is working to meet the needs of small and large business networks. SimpleWAN won TMC Magazine’s SDN Product of the Year for 2014 and 2016.